« After all, he did the thing. I had a situation. It was small, but I wanted a solution. My aunt had sent me a weighted blanket for Christmas, and the manufacturer had the pockets set up in such a way that they made this ‘chhh chhh chhh’ sound when they were shifting around. Princess Yue Pants thought this was fantastic. She liked the pounce on the pockets. Yue knows how to make things fun. I asked PetsWeekly founder if she had any ideas, and she told me about Bavarian Cat Toys. They’re filled with Valerian and spelt. They’re stinky and go ‘chhh chhh chhh’. 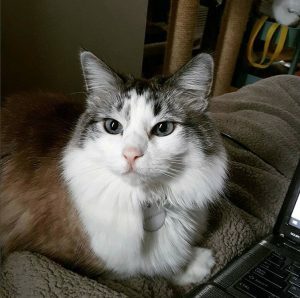 Bavarian Cat Toys isn’t selling on their website any longer, but referred me to check local pet suppliers or Jeffers.com. “The smell cats can’t resist!! Handcrafted in Germany with Bavarian-grown Valerian and catnip. Natural spelt filling give the toys shape and assures long-lasting quality and fun! 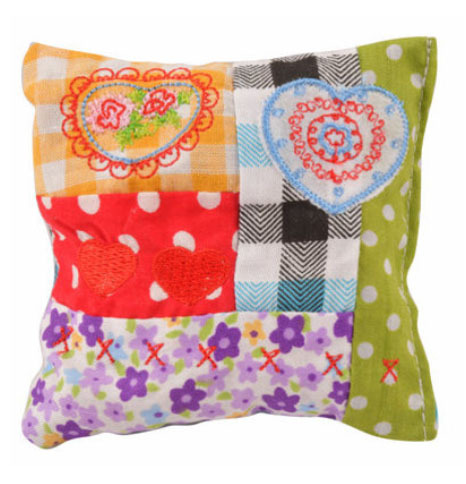 Patchwork Sack, Cushion or Pillow offer 3 sizes to choose from and assorted fabric colors that may vary. Your cat will be crazy about these Patchwork Toys! I bought the Patchwork Sack, Cushion, and Pillow for my four kitties and they LOVE them. I find them all over the house. When our roughest cat tells me he wants to play with me, I grab whichever one is nearby and toss it on him and he murders it. The sounds and smell are so enticing, and we’ve been using them for a month and the stitching is excellent. If you want to grab some for your kittens, I would suggest signing up for the mailing list for the 10% off discount on your first order.